Two new offices have been established at Sam Houston State University to assist with guiding the university as it continues to grow and take steps toward better preparing its students to be more competitive in the Texas workforce. Following the lead of numerous universities across the country, SHSU is looking to establish a research park that will not only provide students with experiences giving them an edge in seeking jobs, but will also make the university a more active partner in local economic development. To facilitate that effort, a Research Park Office has been created to plan and coordinate real estate development, infrastructure issues and development aspects of the park. “The office will serve as the first contact for inquiries and will coordinate all advertising and promotion of the park,” said Al Hooten, vice president for finance and operations. The office will also secure appropriate amenities for the park’s occupants and will serve as its primary realtor. Park activities between SHSU, the City of Huntsville, Walker County, the state, private donors and developers, and occupants of the park will be coordinated through the new office. “Initially, the primary focus of research will be criminal justice studies. However, once the research center opens, students and faculty from various disciplines will be housed there,” said Hooten. The office, located in room 204 of the Roy Adams House, is directed by Terry Stokes, who came to SHSU from Norfolk State University in Virginia where he was the executive director of the NSU Research and Innovations Foundation. His responsibilities included overseeing the Research and Innovations to Support Empowerment Campus, NSU’s research park. In addition to SHSU’s new Research Park Office, the Texas State University System Office will place an assistant general counsel on campus. With the tremendous growth at both SHSU and other universities within the system in recent years, system and university officials felt that the timing was right to expand the legal services under the direction of TSUS Vice Chancellor and General Counsel Fernando Gomez. 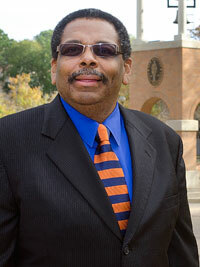 Gomez has served as the system and SHSU’s legal authority and representative for 22 years. That relationship will continue directly as well as through the new assistant general counsel. 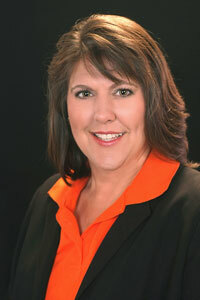 SHSU joins peer institution Texas State University-San Marcos in having an on-site attorney. Both campus attorneys report to Gomez and join the rest of the legal team in Austin in representing SHSU and other TSUS campuses under his direction and supervision. The Texas State University System Office of General Counsel has three sections—general law, business law, and governance—with requests for advice and counsel being assigned to the section best suited to respond. Initially, requests for contract review from all campuses, including SHSU, will continue to be sent to Associate General Counsel Diane Corley. Associate General Counsel Nelly Herrera will continue to work on SHSU employment and litigation matters with which she is currently involved. Gomez will continue to handle matters, which will ultimately come before the TSUS Board of Regents or are at the chancellor or presidential level. Rhonda Beassie, who has served as SHSU’s director of Students’ Legal and Mediation Services since July 2011, has been named to fill the new position, effective Jan. 1. She came to SHSU from the University of Houston Law Center. She has 13 years experience in Texas law and legal studies and holds a Juris Doctorate from the UH Law Center. Her office will be located in the Administration Building. “We are very pleased to have an attorney of Ms. Beassie’s qualifications and character join us in providing legal services to SHSU and its sister institutions,” said Gomez. Beassie will work on general law matters, providing counsel and advice in the human resources and student affairs areas. The types of matters she may be working on will include employment and civil rights complaints; personal injury matters; student discipline, grievances or claims; campus policies, manuals and handbooks review in both personnel and student areas; administrative hearings; and mediations and other dispute resolution matters.